Weekdays are best because you won’t experience a wait at The Greasy Spoon. On weekends try to arrive at the restaurant early or plan for some extra playground time while you wait for your table. This itinerary is suitable for all seasons but is best enjoyed in good weather. This Stockholm itinerary explores the trendy, vibrant neighborhood of Södermalm (Sodermalm) Sweden. 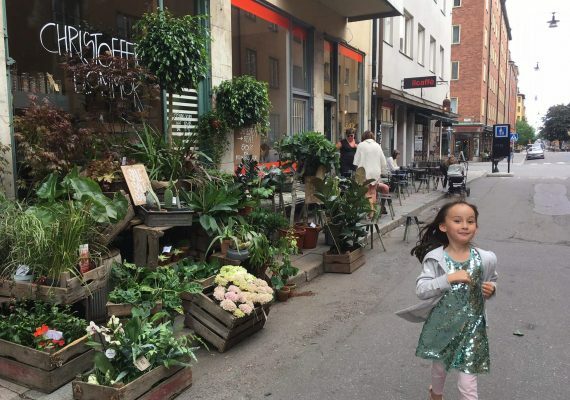 Voted one of the coolest neighborhoods in Europe, Stockholm’s SoFo is ideal for parents interested in contemporary Swedish design, fashion, accessories and interiors. 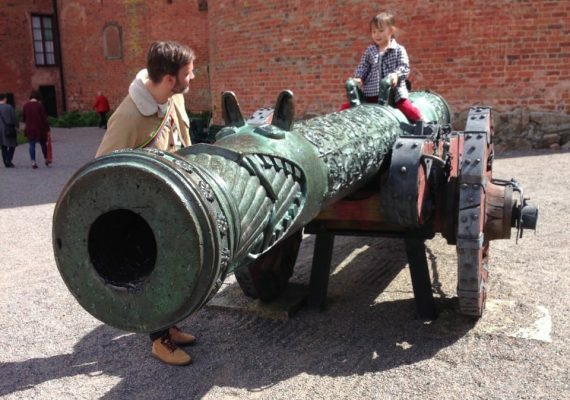 Södermalm is also one of the best places to visit in Stockholm with kids. Its Nytorget Park has some of the best playgrounds in Stockholm and lots of green space. Plus legendary ice cream! This is a perfect day for design and food-loving families. The Greasy Spoon is one of our favorite breakfast/brunch places in Stockholm. Parents will love that the food is fresh and well prepared, and has a good range from breakfast classics (Eggs Benedict) to more health-conscious trends (Chia pudding, avocado toast). Kids will, of course, appreciate the sweeter options like banana maple french toast or buckwheat pancakes. Although the menu is not particularly Swedish (focuses on English-style breakfast, actually) – I've found that having more familiar foods can sometimes be a welcome start to the day when traveling abroad. The restaurant has a relaxed yet trendy vibe and really friendly service. DIRECTIONS From Slussen station, take the #2 bus (direction Sofia) and get off at Nytorgsgatan. Walk 1 block to Tjärhovsgatan 19. Alternatively, take the subway to Medborgarplatsen (green line), and from here it is about a 10-minute walk. TIP The Greasy Spoon is usually very busy on weekends between 10 a.m. and 3 p.m., and doesn't take reservations. You can always go to the restaurant and put your name down on the wait list, then explore one of the many playgrounds in the area while you wait, typically 30 minutes to an hour. It's ideal if you are early risers and can arrive before 10, or are able to try this itinerary on a weekday. This park is at the heart of SoFo, the trendy neighborhood named after SoHo in NYC. In the summer, a large grassy lawn surrounding a fountain is a popular place for people to gather and have a picnic. The playground is a great post-brunch stop to burn off some energy before hitting some stores. 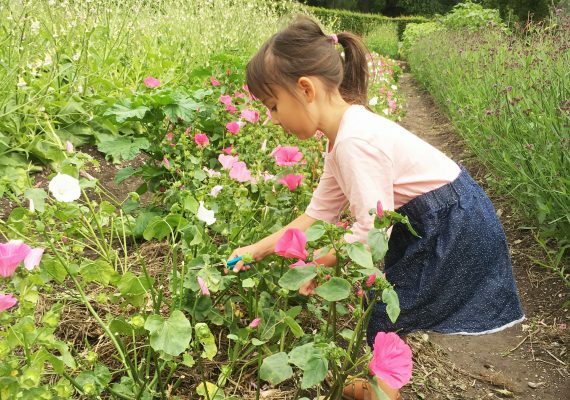 Alternatively, parents can take turns doing the playground with the kids while the other does some solo-browsing – sometimes a good solution for the whole family! DIRECTIONS The park is at the intersection of Nytorgsgatan and Skånegatan. Exit Greasy Spoon to the right, and walk half a block to Nytorgsgatan. Turn left and walk south 5 blocks. SoFo is defined by its location, which is “south of Folkungagatan.” It is bordered by Renstiernas gata, Ringvägen and Götgatan. Like New York's SoHo, SoFo happens to be one of the best shopping districts in Stockholm. It is the perfect place to browse, discover and shop the best in Swedish fashion, interior design and children's wear. Some favorites for fashion include Acne, Swedish HasBeens, A Day's March, Kerber, Marimekko, Grandpa and Stutterheim. For kids, don't miss Mini Rodini (clothes) and Krabat (toys). There are also plenty of vintage shops and cafés on every corner, should you need refreshments along the way. DIRECTIONS From Nytorget, just wander down any adjacent street. TIP There are so many families in Stockholm that parents need not worry about bringing small children into even the trendiest of stores. You will notice babies, toddlers and strollers all over the city, and shopkeepers are generally very easy going. However, many shops in this area are quite small, so just be wary of space limitations. It can get busy on weekends. This ice cream shop doesn't look like much from the outside and doesn't even have very obvious signage. But the owners must not think it's necessary, given its reputation for having some of the best ice cream in Stockholm. A.H. Glassbar offers around 40 different flavors of home-made Italian ice cream. It has the classics, as well as such typically Scandinavian flavours as saffron, licorice and cloudberry. These are well worth a try. There is also no indoor seating whatsoever, but there are usually a few tables outside on the sidewalk and street, which is pedestrian-only during the summer months. DIRECTIONS This ice cream shop is just across the street from the Nytorget Park, on Skånegatan. The name is not actually visible anywhere but just look for a colorful ice cream cone sign. During the summer, its queue often spills out into the street. 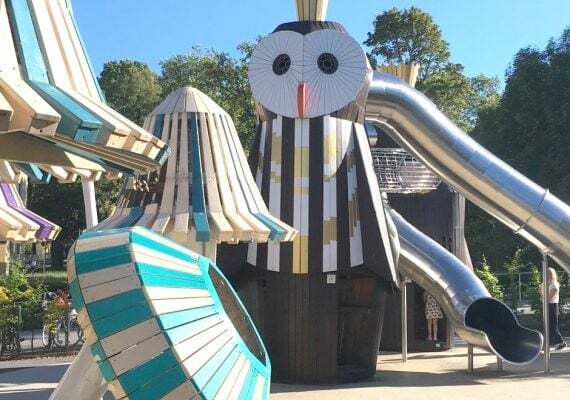 This unique playground is a re-creation of the Södermalm (Sodermalm) neighborhood in the 1800s. Children play in scaled-down, hand-built wooden houses that include a blacksmith shop, a horse stable and even an outhouse! The buildings are decorated with true-to-life furnishings, creating a truly immersive space for creative play. Traditional play structures like slides, seesaws, swings and sandboxes are seamlessly integrated into the environment. It's as physically challenging as it is imaginative. During the summer months, a small café kiosk inside the playground sells drinks, snacks, pastries, waffles and ice cream. My daughter's favourites are the slide that you need to climb up inside one of the houses to access, as well as the nearly life-size horse and wagon. I love the marvellous craftsmanship which makes it a both fun and beautiful place to hang out – as well as the many benches and leafy trees to take a break. DIRECTIONS From Nytorget, walk down Sofiagatan and turn left on Södermannagatan. Walk one block and turn right on Gotlandsgatan, and the playground will be on your right-hand side. TIP This playground can get a bit muddy after it rains, so if it's damp outside, have some good rubber boots ready. This charming café (whose name translates to "Beloved Traditions") is themed with a mix of Swedish and American 1950s references. The extra attention to detail in all aspects of this café make it a unique and memorable experience – from the furniture to the staff's hairdos to the cutlery to the presentation of the food. The menu includes fika pastries as well as classic meatballs with lingonberries, but their specialty here is waffles, both savory and sweet - making it suitable for any time or meal of the day. We love this place because the waffles are not only perfectly prepared but also so wonderfully presented – always lovingly garnished with extras and fun details. The ice cream sundaes are like works of art – and unsurprisingly, a favourite subject for food bloggers and Instagrammers. Needless to say, the menu is a hit with both adults and kids, as is the decor which is eclectic and fun, with vintage toys and posters adorning the walls. DIRECTIONS Exiting Bryggartäppan, turn left on Gotlandsgatan. Walk one block, then turn left on Södermannagatan. The café will be on the left-hand side. TIP As with all popular cafés, Älskade Traditioner can get very busy on weekends. But it has recently expanded its outdoor seating area, which is a pleasant place to sit during the summer months.